I’m Agnieszka, the face behind WojoImage. I photograph all kinds of love at all stages of life. A pregnancy, a birth story, a newborn baby, children, families, adoption, pets, or just because… I specialize in lifestyle and portrait photography, serving the Chicago and Seattle areas. I strive to document families in natural settings and love capturing the raw, real and intimate emotions. I love capturing stories and the people within them and strive to document moments in their purest form. Fun things about me: I was born in Poland and moved to the Midwest when I was 13 years old. I am happily married to my amazing husband and 6 months ago we became parents to our beautiful baby girl. She’s our whole world! We’ve been together for over ten years and had the opportunity to live in Wisconsin, Iowa, Illinois, Washington State and recently moved from Seattle back to Chicago. We currently live in the Chicago area, but travel back to Seattle every few weeks so I’m still booking sessions in Seattle. If I’m not capturing stories for my clients you can find me with my little family traveling, exploring new areas and trying out all the coffee shops the Chicago has to over. I love adventure and am available to travel! 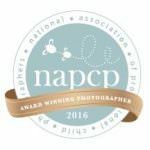 Agnieszka is an award winning photographer accredited by the National Association of Professional Child Photographers. Agnieszka is a proud member of International Association of Professional Birth Photographers. Agnieszka is a volunteer photographer for Red Thread Sessions, a family adoption photography resource. I love to travel and explore with my family. During our free time you can find us taking long walks with our doggy or hiking on a new trail and exploring new area. Visit the travel section on my blog to learn more about our adventures and be sure to check out my print shop for our favorite travel photos. I believe in giving back to my community and volunteer my services to various nonprofit organizations. For the last 3 years I have photographed many foster children and adopted families for adoption research agency. Also, every year I host furry friends mini sessions to benefit local animal shelters.